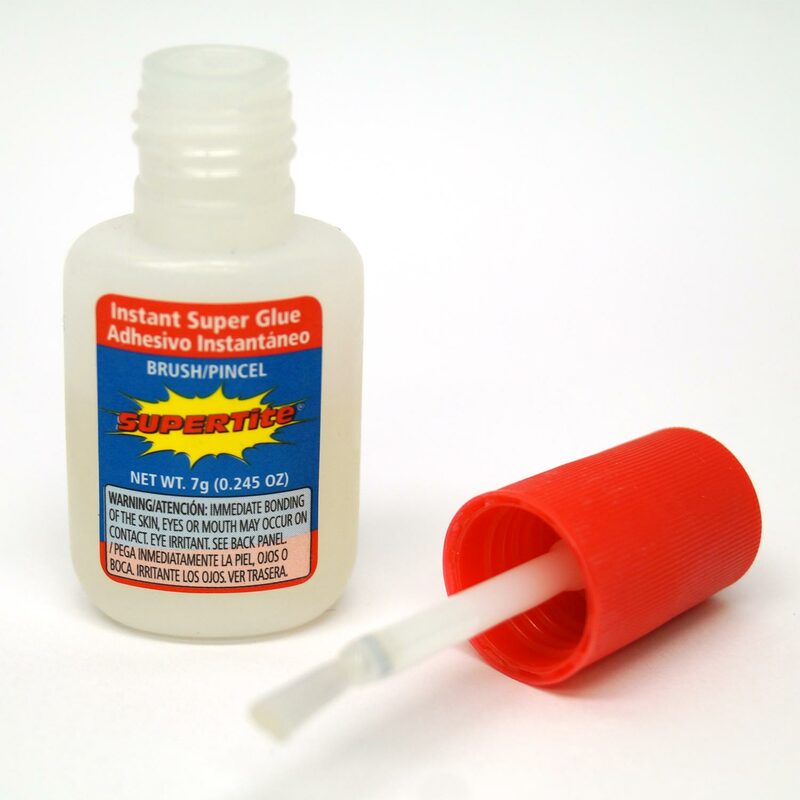 Instant Super Glue bonds almost all surfaces in seconds. 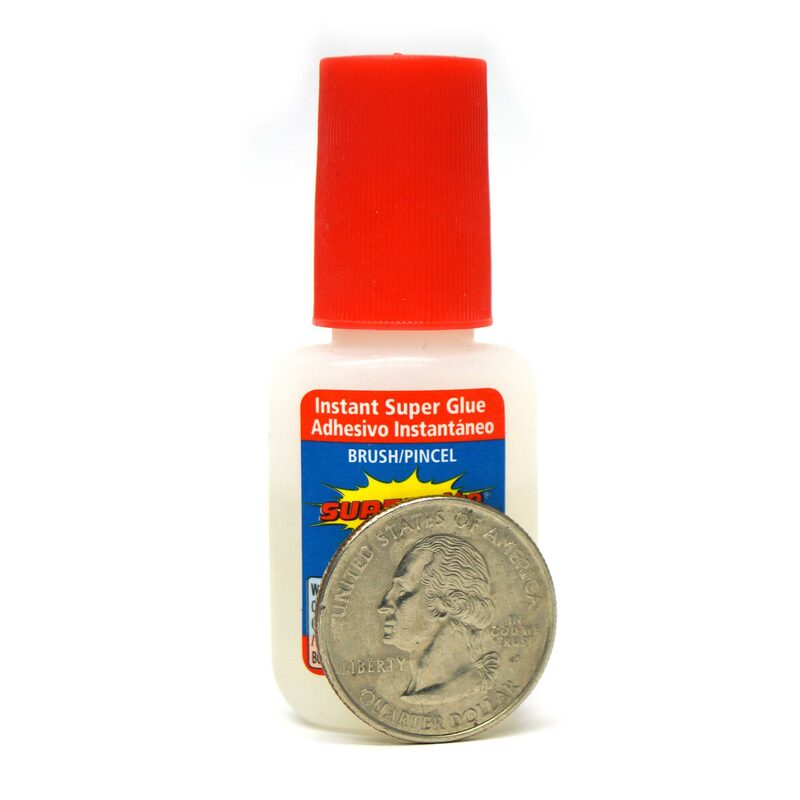 SUPERTite glue is an all purpose adhesive that's solvent-free, water-based and non-toxic. 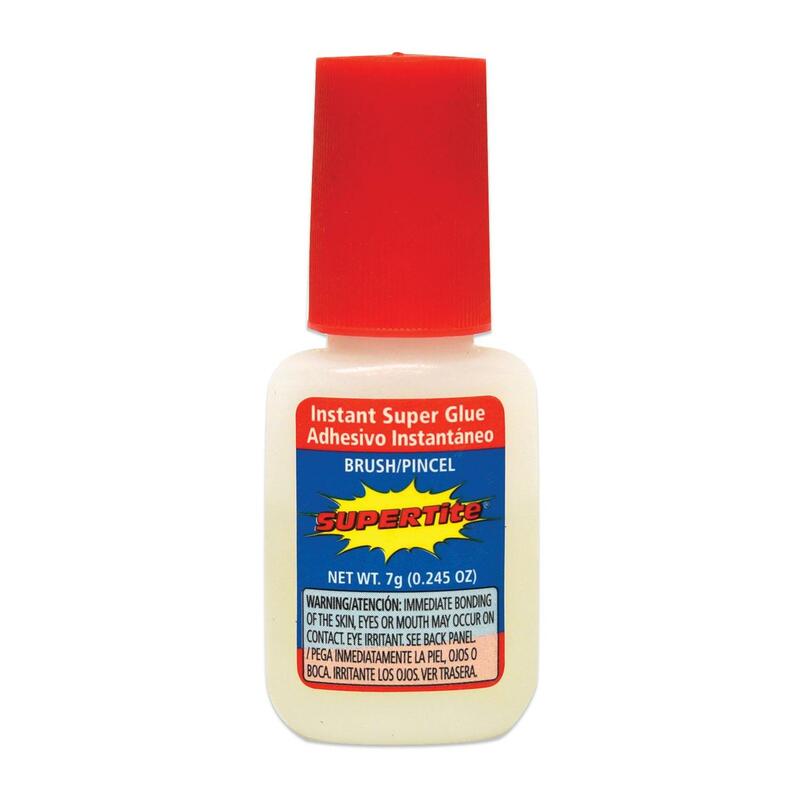 Brush makes applying glue quick and easy. 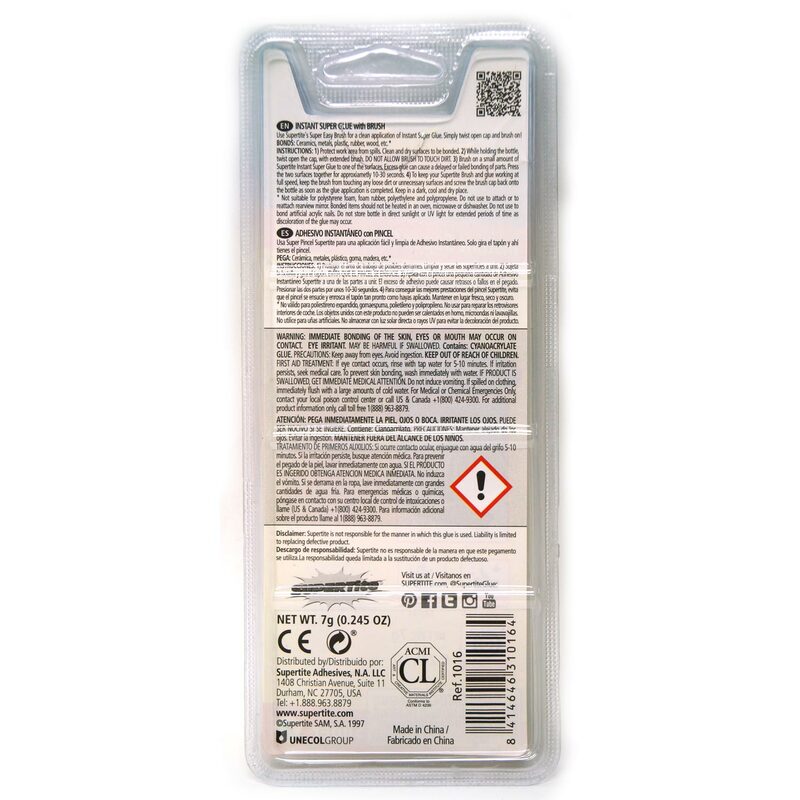 Glue is transparent. 0.245 oz bottle.